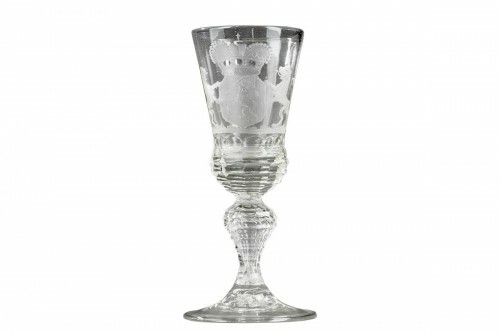 The French crystal Company of Daum is a glassworks factory founded by the Daum brothers in 1878 in Nancy, in Lorraine. 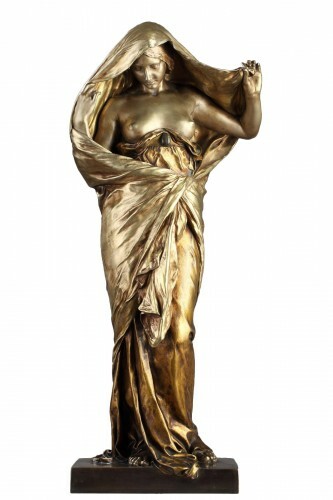 The workshops of the Daum brothers, Auguste (1853-1909) and Antonin (1864-1930), have formed some of the great names of Art Nouveau like Jacques Gruber, Henri Bergé, or Almaric Walter and the Schneider brothers. Following the 1870 war, Jean Daum (1825-1885), notary in Bitche, sold his study and opted for France. He moved to Nancy in 1876 and loaned, the same year, the money several times to Avril and Bertrand, owners of St. Catherine glassware Nancy, a factory that produced bottles and ordinary glassware. The company did not find its financial equilibrium and Daum was forced to buy it back in 1878 and became head of a company of 150 workers in a field which he knew nothing. In 1878, Jean Auguste associated his son, but he did not know the first success of the company. At his death, in 1885, Augustus took only the direction of the glass before being joined in 1887 by his brother Antonin, just graduated from the Central School of Arts and Manufactures of Paris. Given the poor financial health of glassware, Auguste, who followed legal training, was forced to take the lead. Antonin began beautify current crockery. 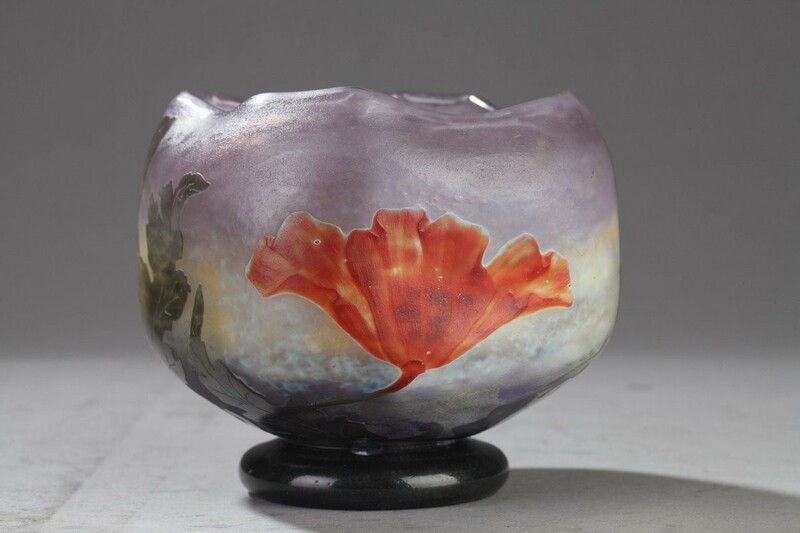 Familiar with the techniques of glass by training, he directed production to artistic creation. The brothers prepared, between 1889 and 1891, the establishment of an art department that was entrusted to Antonin. 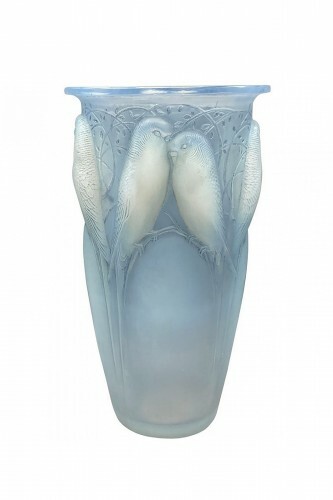 Augustus gave it all means work to follow the furrow dug by Emile Galle in the Art Nouveau glassware. Antonin began with some simple models to continue rapidly with acid etching, then produced models using etching techniques to the wheel, glasses two or three layers. From 1890 to 1914, it did not create less than three thousand references. 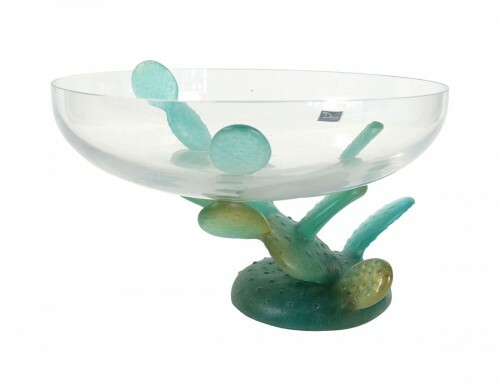 Jacques Gruber was the first artist of glassware. Recruited in 1893, he was entrusted with creating parts to appear at the Chicago World Fair of 1893. It was the first major success that propelled Daum in the closed circle of the art industries. 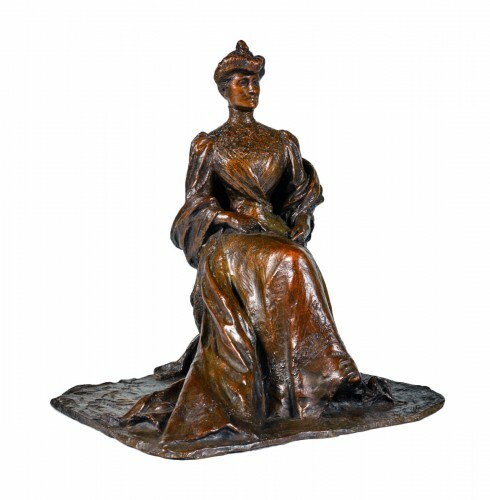 Daum earned participation in the Nancy exhibition in 1894. Then there was the exhibition of Lyon (1894), Bordeaux (1895) and Brussels (1895 and 1897), during which they received awards. An art school was created in 1897 within the company as well as its own designers and engravers. Henri Bergé was master decorator and was the second artist of the company. He joined Emile Writz from 1898. The consecration of the adventure happened when the first grand prize for the art glass of the 1900 World Exposition was awarded to Daum and Gallé. 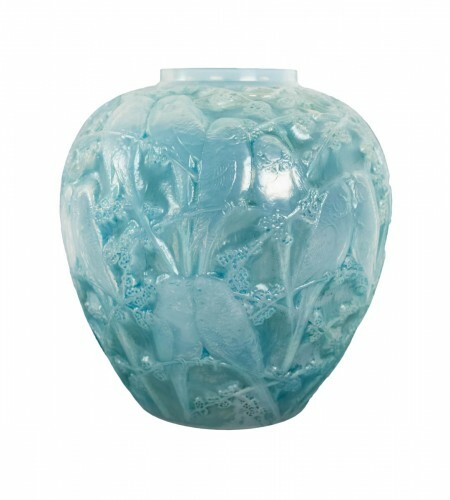 Daum presented pieces carefully prepared: vases with a decor insert (patent 1899) and fixtures that became a specialty. 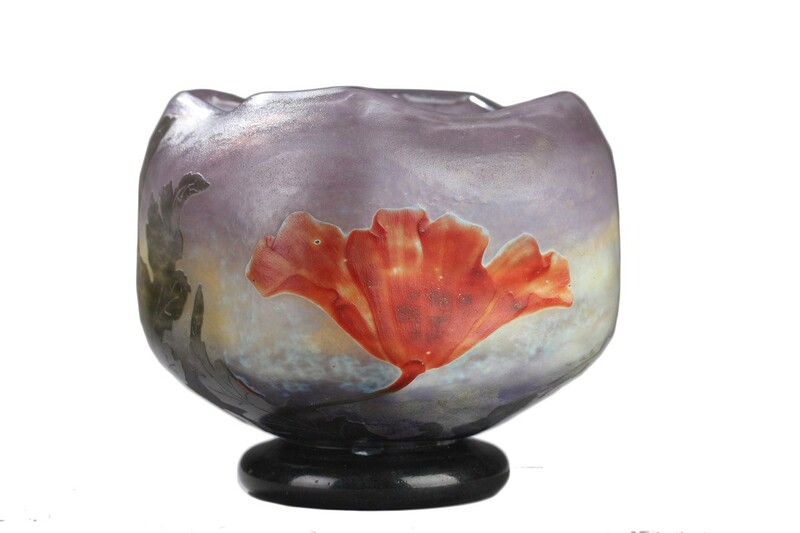 In 1904, Walter who developped Almaric cameo glass, stayed with Daum until 1915. In 1901, the Statutes of the School of Nancy were officially laid. Emile Galle was the man behind this group and became president. Antonin was vice president. Antonin was also one of the personalities of the Chamber of Commerce of Nancy. He then played an important role in 1909 at the International Exhibition of Eastern France, which marked the end of the School of Nancy. Augustus died in 1909, Antonin was active until his death in 1930, but shared responsibilities with the son of Augustus John, and Paul Henry. John died in 1916, Henry's manager as his father. Paul was a graduate of the Institute of Physics and Chemistry of Nancy, he gradually took the place of Antoninus. Daum ensured after 1918, adapting the business to the new conditions of production, anxious to maintain quality there. The company continued to participate in major exhibitions: Barcelona in 1923, International Exhibition of Decorative Arts in Paris in 1925, Colonial Exhibition in Paris in 1931. In the 1920s, Paul directed production to Art Deco to the loss of public interest in Art Nouveau. Demand was high and successful business. He opened a second crystal factory 'Belle Etoile' in Croismare in 1925 that Paul was the director. 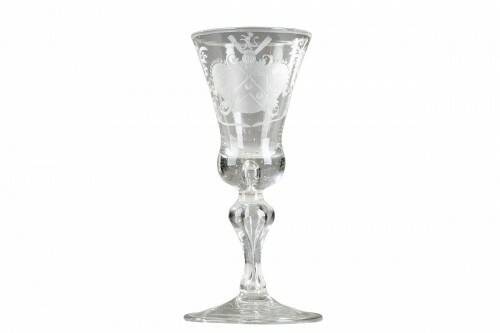 It provided white glass, balls, of Lorrain signed fantasy. Pierre Davesn created models from 1928. The economic crisis of 1930 Belle Etoile button which was closed in 1934. Some large orders allow the company to continue production: in 1935, the 90,000 pieces in order Transatlantic Company glass and crystal for the liner Normandy. After World War II, the crystal took a prominent place under the direction of Henry and Michel Daum. The eldest grandchildren of Antonin, Antoine Froissart (1920-1971), an engineer from the Ecole Centrale Paris, was developing the production of a particularly transparent and bright crystal. This new crystal favored the creation of parts with thick and soft shapes, and bright appearance. Jacques, grand-son of Augustus, brought new life in 1965 by appealing to contemporary designers.